A baseball tradition is about to end. This week, Major League Baseball announced it would no longer allow the use of chewing tobacco when fans are present. If you've got it, says the league, you've got to conceal it. 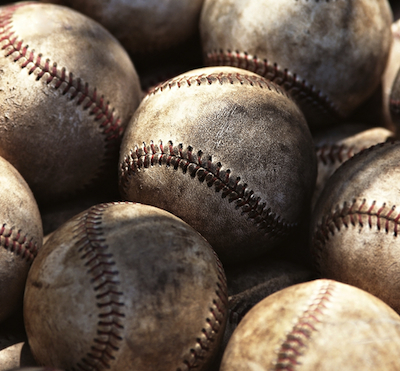 Since baseball became a professional sport in the mid-19th century, players and coaches have been tucking tobacco between their gums and cheeks and spitting out brown saliva. It's a ritual that has permeated the game. Atlanta Braves coach Bobby Dews remembers the first time he was offered a "chaw" of tobacco, as they call it. It was 50 years ago when Dews left his junior year at Georgia Tech to sign a deal to play shortstop for the St. Louis Cardinals' minor league team. He got a $20,000 signing bonus. "Everyone was chewing tobacco in the minors," Dews says. "It was almost like an initiation. You knew the major leaguers did it." And everyone in the minors dreamed of the majors, including Dews. Once you get Jim Huber's voice in your head, you can never get it out. Who would want to? Why doesn't a winner smile? That's the first thing we wanted to know when we spoke with the third winningest manager in baseball history.